"John Henry" uses a rough, unfinished look unique to Disney films of the late 1990s/early 2000s. Since the 1960s, theatrical shorts were produced irregularly by all of the major studios until roughly the late 1990s, after Pixar paved the way back to the creative use of the short film with “Tin Toy,” “Knick Knack,” and “Geri’s Game.” The success of those short films prompted the artists at Disney to start their own active shorts program. Those young artists, who idolized the classic animation techniques pioneered by the Disney studios in the 1930s and ‘40s, are now using short films as a way to experiment with new technological and storytelling techniques. That they now regularly premiere theatrically before new Pixar and Disney shorts is a nice bonus for families. Securing them for home viewing has been difficult, though, with their being scattered across either iTunes or various other DVD releases, so it's great to have a dozen shorts collected here. Some of the resulting shorts on this new set are daring in their use of color and line. “John Henry,” a reworking of the classic American myth released in 2000, features bold colors and a sketchy, almost unfinished style—you can still see what looks like pencil tests or guide lines as the characters move. The film, accompanied by the gospel music of Sounds of Blackness, is far removed than anything else Disney was producing in the late 1990s and early 2000s. “Lorenzo (2004),” about a fat cat whose tail has a mind of its own, also uses new techniques to achieve a painterly look, as if brush strokes came to life onscreen. “Get A Horse” finds Mickey Mouse breaking the fourth wall to become a 3D character, and “Paperman” uses a unique hybrid of computer animation and traditional hand-drawn characters to create something so new and beautiful that the studio is reportedly considering a feature film based on the techniques developed for the short. “Paperman” also won Best Animated Short at the Oscars, one of two on this set to do so. It helps that it’s a sweet story as well, about a Meet Cute between a boy and girl, and his attempts to get her attention with a stack of paper airplanes. One other use for the Disney short films, of course, is to keep a franchise going (and sell toys, let’s face it) in between features, and so from the megahits “Tangled” and “Frozen” come the shorts “Tangled Ever After” and “Frozen Fever.” The “Frozen” short offers an opportunity for Robert and Kristen Anderson-Lopez to write another song that your 9-year-old daughter will sing for days on end (and I gotta admit it’s catchy), and “Tangled Ever After” is a laugh-out-loud chase through the streets of the kingdom to catch the runaway wedding rings of Rapunzel and Flynn Rider. The hijinks in that short are up to Looney Tunes-level lunacy. In all, I'd say 9 out of the 12 cartoons on “The Walt Disney Short Films Collection” are fantastic little pieces of filmmaking. That’s not a bad batting average for a set like this. Incidentally, both “Destino” and “One By One,” like “Lorenzo” and “The Little Matchgirl,” were all on the shortlist for a third FANTASIA film that was never made. That last film, “The Little Matchgirl,” may be my favorite on this set. Using no sound effects or dialogue, director Roger Allers changes the setting of the Dutch writer Hans Christian Andersen’s story about a poor street urchin to Russia in the wintertime. Alexander Borodin’s “Nocturne” from the String Quartet No. 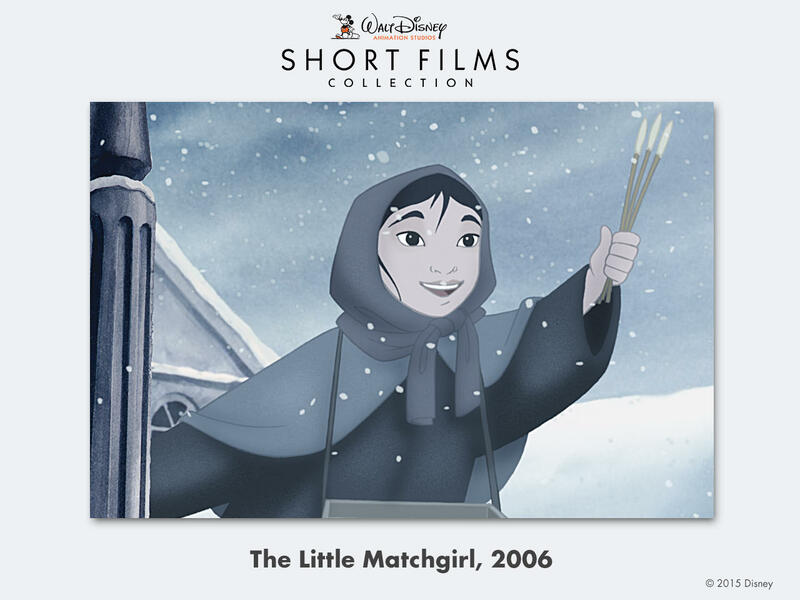 2 matches the emotion of the images on screen as a girl, alone in a snowy alley, strikes match after match in the hopes of being carried away by their warmth, and a fantasy she can only dream of. “The Little Matchgirl” has never failed to leave me in tears. The Blu-ray comes with a code to unlock the shorts for online viewing via mobile app; that’s a neat trick and perfect for enjoying one or two stories at a time on your smart phone. 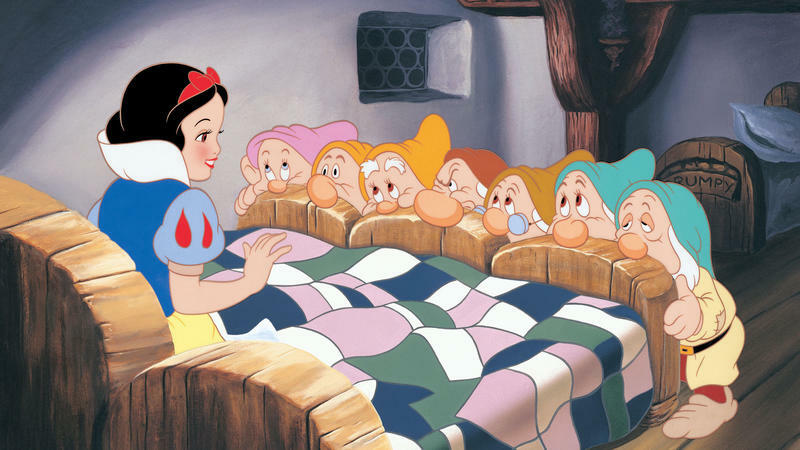 “The Walt Disney Short Films Collection” is a great set for families and collectors alike. As the holidays draw near, I begin to look forward to a tradition at home. Each year we sit down and watch “Mickey’s Christmas Carol.” And despite the fact that my kids are growing older, we never grow tired of watching. This year marks a milestone in the world of make believe. Walt Disney Animation Studios is celebrating its 90th anniversary, a history spanning scores of classic films and a menagerie of beloved characters. Walt Disney's world has grown a bit larger since it acquired Pixar — the company behind hits like Finding Nemo and Monsters, Inc.